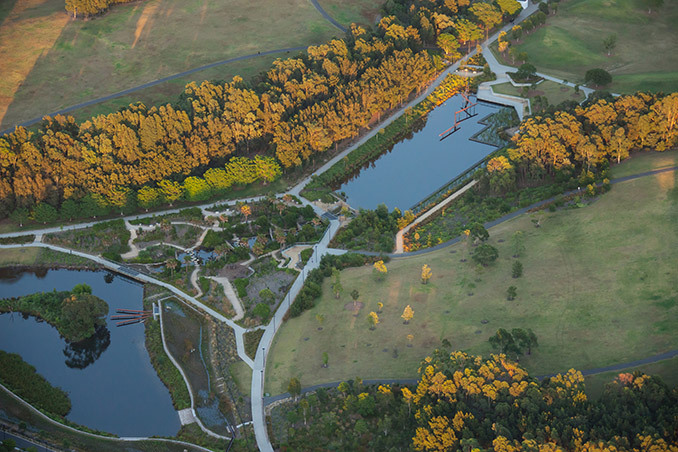 The Sydney Park Water Re-Use Project is a seamless intersection of design, art, science and ecology, an outcome achieved by the collaboration landscape architects Turf Design Studio and Environmental Partnership (TDEP), Alluvium (water and environment), Dragonfly Environmental (ecology) and Turpin + Crawford Studio (public art). 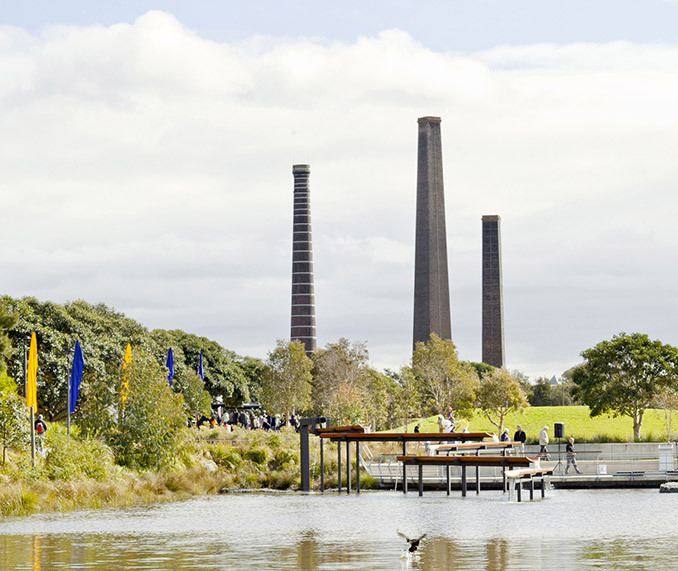 Much has been achieved over the past two decades to transform the Sydney Park site from its former post-industrial history and waste disposal, into 44 hectares of parkland and a vital asset for the growing communities of Sydney’s southern suburbs. This project forms the City’s largest environmental projects to date, built in partnership with the Australian Government through the National Urban Water and Desalination Plan. 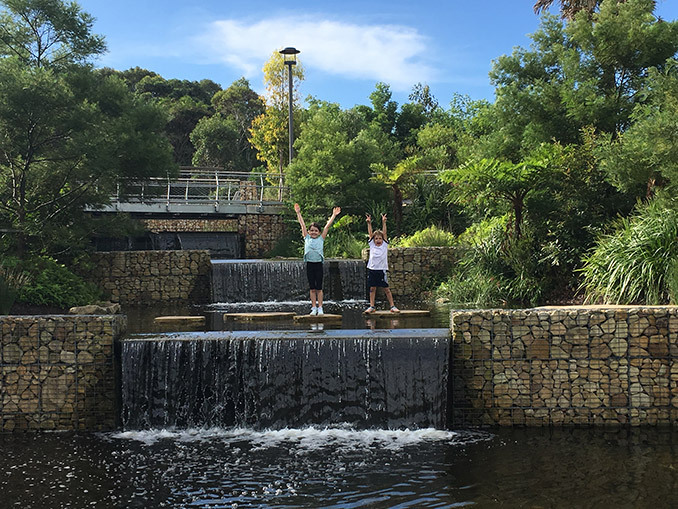 It is an integral component of Sustainable Sydney 2030; targeting 10% of water demand to be met through local water capture and re-use in the park. 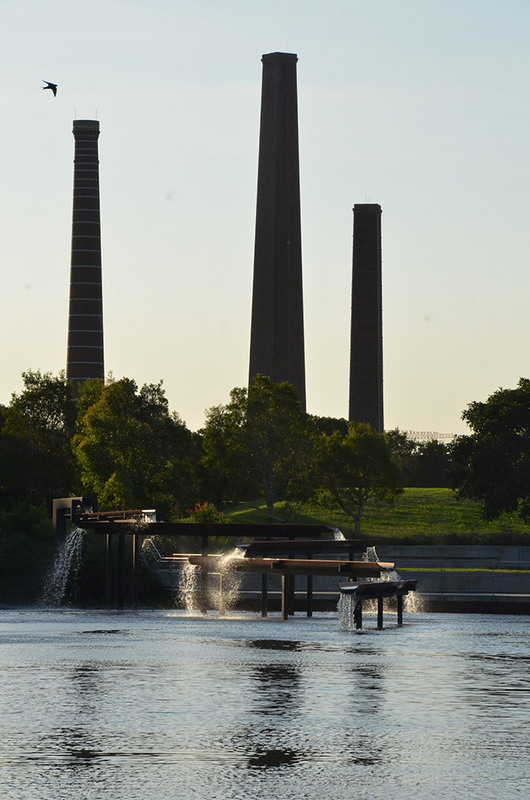 The City also seized the once in a lifetime opportunity to use what was essentially an infrastructure project to breathe new life into the park – as a vibrant recreation and environmental asset for Sydney. The City engaged a design team led by landscape architects Turf Design Studio and Environmental Partnership who orchestrated an intense and multi-disciplinary collaboration intersecting design, art, science and ecology – in a ‘roundtable’ of creatives shared between water experts Alluvium, artists Turpin + Crawford Studio, ecologists Dragonfly Environmental, engineers Partridge and the City’s own Landscape Architects. Design Landscapes constructed the project. The beating heart of this project tells a story about water; through its function and processes that enables water to be harvested in its wetlands, made good and returned to viable use within the park and nearby industry. 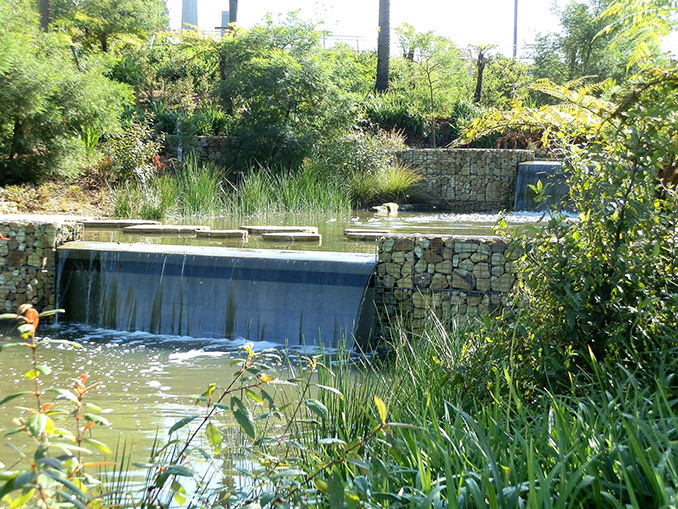 Bio-retention wetlands captures water from the Newtown catchment; the equivalent measure of 850 million Litres/year. Making these water flows and reuse processes visible was an important part of the project, as they highlight the intrinsic relationship between water and urban life, topography, people, plant life and fauna. 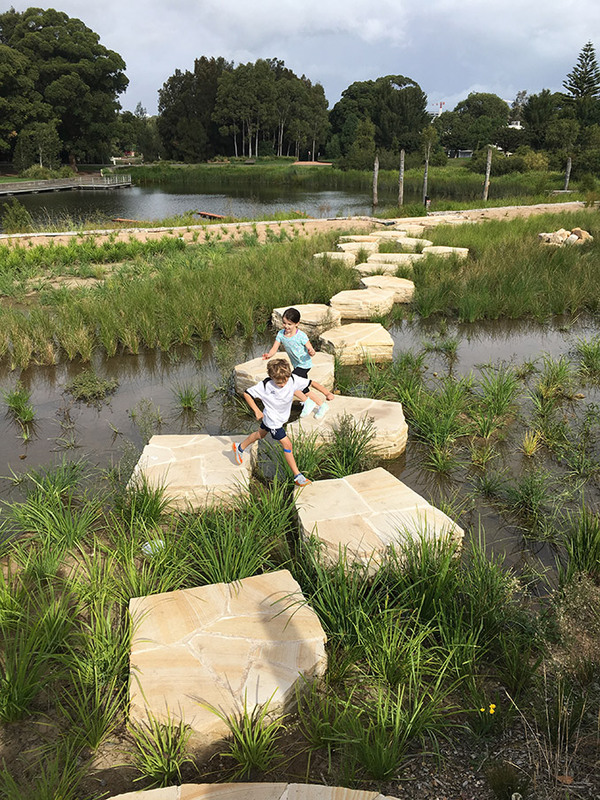 The project reinterprets conventional park design, by creating intrigue and dialogue as park users explore and discover ‘moments’ in the landscape that can be at times playful, dramatic and peaceful, but at all times connected to the water narrative of capture, movement, and cleansing. The transformation not only offers inner city residents and the wider community a new place to relax, play and gather in, but it educates on the importance of water management and how improving water quality and reducing potable water can be intrinsically linked into our natural surroundings.